Our employee spotlight this week falls on an incredibly talented member of our Charlotte sales force. 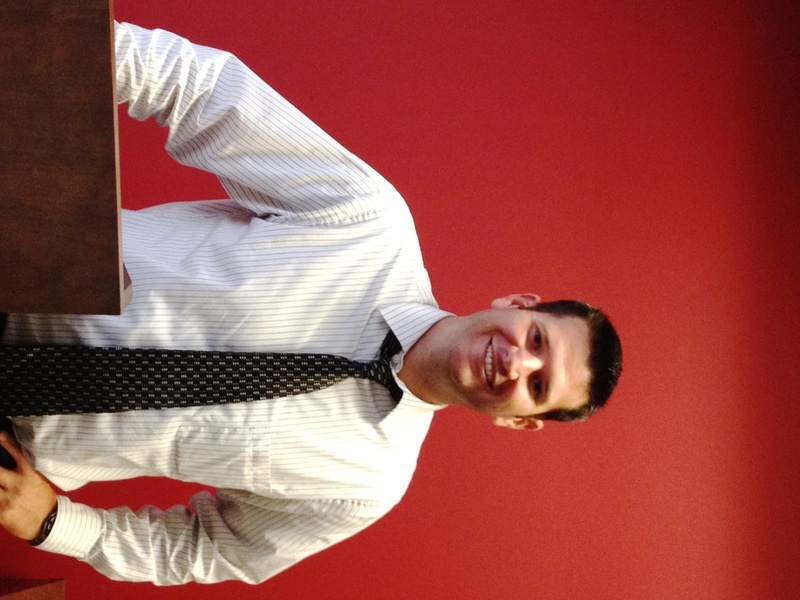 Ryan LeClear has been a part of the FSI team for almost ten years since he joined us in May 2003. He came to FSI as a recent college grad and has played an instrumental role in helping us reach a younger generation. In addition to being a gifted salesman, Ryan is truly a great guy and someone you should all get to know. “I think the most fun we have ever had at FSI was on Jay Godwin’s most recent “milestone” birthday…we used 40 packs of post-it notes to decorate his office. I think he still finds random post-it notes stuck to his office furniture.” Nice work! Perhaps you know Ryan, but only the coat and tie, making sales calls side of him. Outside of the office, Ryan is quite the outdoorsman spending his weekends hiking, camping and kayaking. He usually takes these trips with his wife and two dogs; a 5 year old Yorki-poo named Millie and a 5 month old Shepherd mix named Sable. Ryan said his favorite vacation was a trip to Mexico with his wife for their honeymoon. I asked what he would buy first if he won the lottery and he said he would buy a really nice motorcoach and take a trip across the United States, stopping anywhere and everywhere along the way. As always, I threw in a couple “for fun” questions and asked Ryan if he has any hidden talents. Sometimes this question comes up empty, but not today! “I can juggle. A trick I learned playing golf. I would try and juggle during downtime between holes.” Maybe that can be the opening act of our next sales meetings! When I asked Ryan what are some words he lives by, he says he can actually apply his method at work with areas of his personal life. “It’s better to under promise and over deliver verses over promise and under deliver.” Can’t argue with that.